Jiaogulan plant, Gynostemma pentaphyllum, is also known as Immortality. The leaves, fresh or dried, are used to make an energising and excellent tea. Contains more than 3 times the adaptogenic saponins than Ginseng, but much easier to grow. Used to assist weight loss and to reduce high blood pressure. 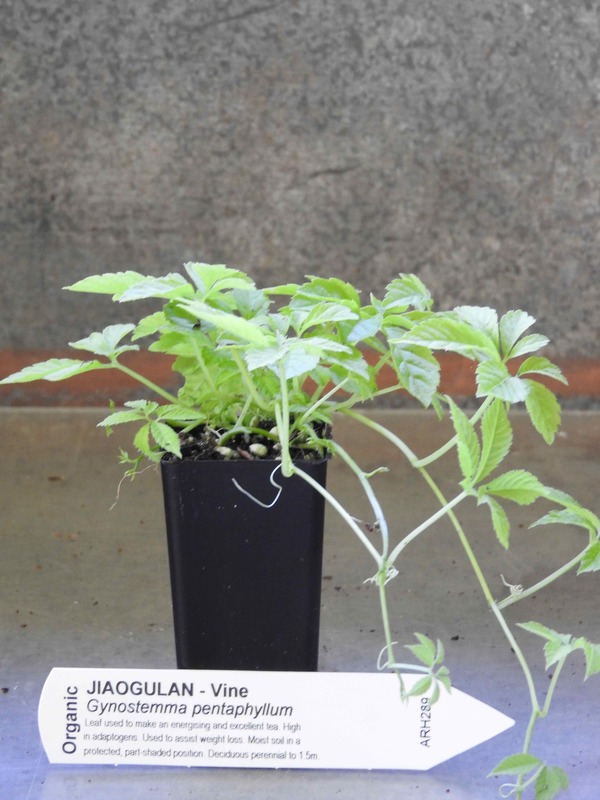 Jiaogulan plant is native to Japan and prefers rich. moist, well drained soil in a protected, part-shaded position. Frost tolerant but drought tender. A perennial climber, growing to about 1.5m. Suitable for container growing with a trellis. Be the first to review “Jiaogulan, plant” Click here to cancel reply.